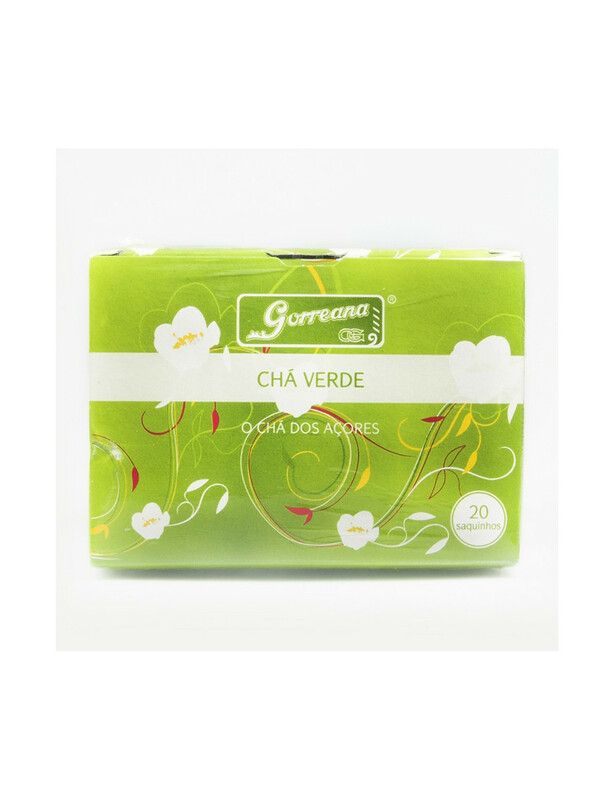 Green Tea "Gorreana", produced in the island of São Miguel by Gorreana Tea Factory. Box of 20 individual bags. Tea made by vaporization of the Camellia Sinensis leafs, maintaining its original color. It has a lighter flavor and not as much theine as black tea. Properties: Natural Antioxidant, Slimming. Anti-Carcinogenic, Folic Acid, Vitamin C, K, B1 and B2. Anti Aging.